Social media marketing is such a hip term now that even the colleges and universities are offering specialized courses. When we talk about social media, we talk about platforms such as Twitter, LinkedIn, and off late, Instagram which is widely accepted by the people across the globe. One of the most innovative thing about the social media is the usage of the hashtags (#). At first, the users were mystified about the way it can be put to use but nowadays hashtags can bring out the essence of communication over the social media platform vitally. Chris Messina, over the Twitter, initiated the #hashtag proposition in one of the tweets which read like “How do you feel about using # (pound) for groups. As in #barcamp [msg]?” But nothing happened until one day, back in October 2007 citizen journalists began using the hashtag #SanDiegoFire, at Messina’s proposal, they tweeted the updates on progressions of forest fires in San Diego. Since then, there was no looking back for the hashtags to progress briskly in the realms of social media. The hashtag helps the Instagram users to discover new accounts and pick up new followers. For example, #ThrowbackThursday encourages users to post retro photos. For the hashtags to work, one must ensure that the post is set to public and not private. 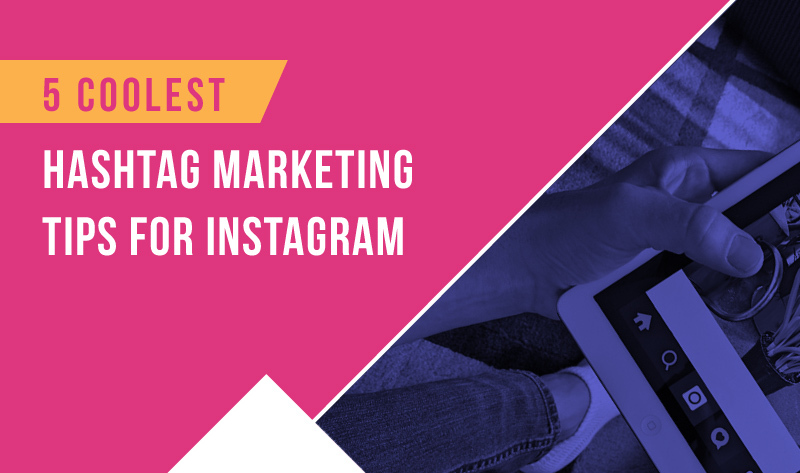 Therefore, one of the most crucial parts of Instagram marketing is utilizing the hashtags. Let us hover upon the five effective ways through which you can gain Instagram followers using the right hashtags. The best way to target the audience with right approach is to know them. Looking at the Instagram demographics is always essential. Using Instagram for the business requires some amount of strategy as the platform itself is a real niche for itself. Direct marketing and brisk sales pictures can have an adverse impact on the users. This may give that ‘wanna be’ outlook to a business, therefore, one must avoid a particular set of hashtags. If you are just looking at the numbers then using hashtags like #like4like #followtofollow may lead to significant numbers. Also, you can use the Google Keyword Tool where you can get the data of what majority of the users searches for on Instagram– it shall return either Kardashian or Kendall Jenner Instagram account and to the most, they are looking to get more Instagram followers. However, that is not your business. Your business should be using the hashtags to target the right audience, using right hashtags and get them to your Instagram post. Now the next step is to create the unique hashtags for your business to pull some of the prospective buyers and making them your followers. Ban.do‘s Instagram account have all the fun and colorful pictures that seamlessly signifies their brand. The Instagram feed portrays the pictures of their products that entails fun gifts and accessories. Slowly but steadily they are succeeding in the strategy is to create a community around their brand with the help of Instagram. According to one of the research by Quicksprout, posts with 11+ hashtags gets the highest amount of engagement on Instagram. However, these hashtags must fall under the category of your business niche as discussed earlier. You can use up to 30 Hashtag but that does not mean you use them all. Sure, the idea of hashtags was born out of Twitter but when it comes to the dominance – Instagram rules in hashtags utility. It is always lucrative to go with the proven stats but at the same time, you must know where to stop. The audience does not like to read long hashtags and still not get meaning out of it. The ideal way is to weave the hashtags creatively within the post itself and not to have the series of hashtags lined up that looks like an essay. There is another side to innovative hashtags as well, and that is to communicate the hashtags effectively over social media to attract people. This becomes easy if you come up with the idea of holding a photo contest over Instagram, asking people to use a particular hashtag in their photos to be eligible to participate in the competition. Alternatively, there is another way to do so by partnering with another Instagram user in your niche for a contest. You can create a unique hashtag and post your business photos with that particular hashtag. This leads users to your profile where they must like your profile to enter in the competition. It is mandatory to promote the hashtag you create so as to push users in using that hashtag in their posts. Only adding the followers or generating likes will not bring any profits to the business. The test of waters lies in gauging the success beforehand to the campaign such that you should be able to gain convertible footfalls into the firm. The best practice is to constantly keep posting on the Instagram account and make the hashtag go viral on the other platforms as well. Therefore, it is really important to determine the scope of the hashtag and its effect on the business as it is indeed a perplexed yet an effective social media. You must also know that hashtags have the power to increase the brand recall value while simultaneously helping in efficiently reckoning the success rate of the business. Akil Malek is a digital marketer with one of the top mobile app development companies Peerbits. He has an excellent knowledge of mobile technology, and mobile app development.